The modern age of business requires accessing information while on the move. Using cloud and other online means of storage and document communication are one means these entities use to enhance collaboration, but some are concerned these may not be the most secure. Other times documents need to be presented or transferred in an environment where an online resource may not be available, prompting another means of ferrying data from one party to another. 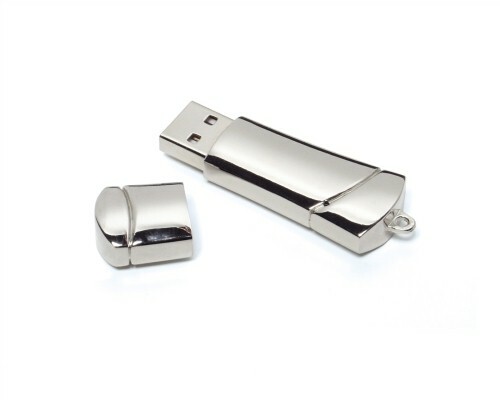 Custom USB flash drives are a great way of helping companies keep information together, securely managing and transporting it with personal belongings. They’re small and easy to carry, plus they can interface with any machine, be it a PC or a Mac, as long as it has USB functionality. What’s more, these devices can be pre-loaded with corporate software in order to better promote the providing business. Custom USB drives and other small technological devices are sought by consumers. Usually these are an additional cost to clients, so handing them a free tool will likely ingratiate them to the business and create an immediate positive impression. These tools are versatile, portable and user-friendly. They may be specially shaped to reflect the issue organization, or they could simply be printed with a logo and brand information. These tools come in a variety of shapes and colors and are cheap to obtain, though the return on investment will usually prove much greater. The Huffington Post wrote that USB 2.0 drives are now becoming the norm.As online security threats mount, finding new ways to isolate data and encrypt it to prevent unwanted access are all great features available through portable external hardware. Workers can accomplish more when they have the best tools to do their jobs. Many use online storage, but as these utilities become more questionable, more people are finding ways to implement external tools, making promotional USB drives a favorable investment for advertising purposes. What’s more, these tools can do more than just store a few corporate files, users are finding. Tech Republic wrote that more operating systems, both with Windows and Apple, are allowing password backups and wireless access with USB drive data. Just plug in the device and automatically create a write-protected portion of your hard drive, upload network information and keep track of higher levels of security on a personal computer. Businesses can take advantage of these functions by making note of cool ways to implement custom flash drives so that recipients will be encouraged to use them more frequently. Greater usage and higher flexibility will increase visibility of the brand and present the issuer as an organization with greater tech savvy, an important element to possess in high-competition markets. These features show that a business truly understands the depth of technology around them and presents them as an innovator and leader. One of the best parts about these promotional giveaways is that they really are ubiquitous in use. Regardless of what capacity a recipient wants to use them in, almost every device is compatible with USB technology, and even those without the function built in have adapters and other tools available for their integration, Core 77 pointed out. These devices carry all the hallmarks of top-performing promotional items and should be strongly considered as marketing tools for businesses in every industry.